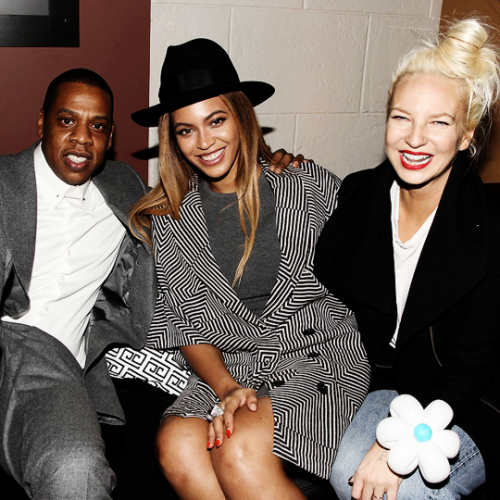 geai, jay Z, Beyoncé. 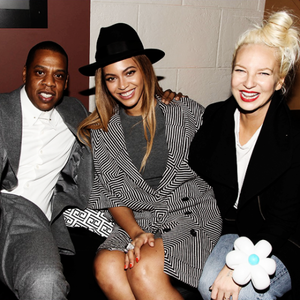 held at the Skylight At Clarkson Square in NYC (Dec 7).. Wallpaper and background images in the Sia club tagged: photo sia beyonce jay z annie premiere 2014. This Sia photo might contain costume d'affaires and costume d’affaires.